‘How to Make It in America’? ‘Orange Is the New Black’? 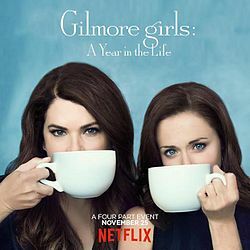 Gilmore Girls: A Year in the Life is an American web television series on the streaming service Netflix. It is a sequel to Gilmore Girls, an American comedy-drama television series created by Amy Sherman-Palladino and starring Lauren Graham and Alexis Bledel, which ran from 2000 to 2007 on The WB and The CW. The miniseries sees the return of Sherman-Palladino and her husband Daniel Palladino to the series after leaving prior to season 7. The series consisted of four 88 to 102-minute episodes, which were released on November 25, 2016. Each episode follows the characters through one of the four seasons. Here's where you should enter your e-mail address to receive all my new articles in your mailbox. 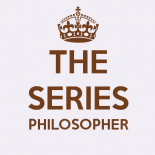 The Series Philosopher is a woman in her late 20s. Not an Athenian or a Greek, but a citizen of the world. S01E01: Did the United States get the president it deserved? The Series Philosopher is on Facebook 2! S03E13: What is the point of getting married if no one can see? S01E08: Do we trust people based on how they look? S01E11: Are the most privileged people also the most undeserving?